Priority allocations are being made to power generation, road networks, irrigation schemes, schools and improvement of health infrastructure. This builds on our steady progress made in these areas over the past years. Commencement of upgrading to bitumen of the following roads:- Moroto – Nakapiripirit (93km), Hoima- Kaiso- Tonya (73km), Mukono – Katosi (74km) and Mbarara – Kikagati (66km), and Ntungamo-Kakitumba (37km)Ishaka – Kagamba (35 km). Fast tracking of the rehabilitation and continuous maintenance of national, district and community access roads; and. Continue the construction of key bridges across the country and accelerate the planning for construction of the second bridge on the River Nile at Jinja estimated to cost US$ 102 million. Government has also embarked on a long-term plan for improving the transport network and ease traffic congestion in metropolitan Kampala. With effect from 2011-2012 financial year, government will embark on the Programme for expansion of key highways leading to and from the city. Government will support the newly created Kampala Capital City Authority, to speed up the improvement of the city’s infrastructure. The government has allocated a total of Shs 43 billion for the construction and maintenance of Kampala City Roads. In addition to the resources to the road sector, the development of the Kampala - Entebbe highway will be undertaken utilizing a US Dollar 350 million loan facility from the Peoples Republic of China. Furthermore, in order to improve access to the Kalangala Islands, the construction and operation of a ferry from the Mainland will be undertaken in a Public Private Partnership arrangement during the year. In addition the main island road will be improved. In addition to the activities detailed, Government will maintain funding to the on-going road construction projects as provided for in this financial year. In the next year, governments will fast-track the completion of the various roads and embark on new ones as resources are freed from the completed projects. In the FY 2011/12, the rehabilitation of the Kampala – Malaba railway will be undertaken and the operational efficiency along the Kampala – Mombasa will be improved. 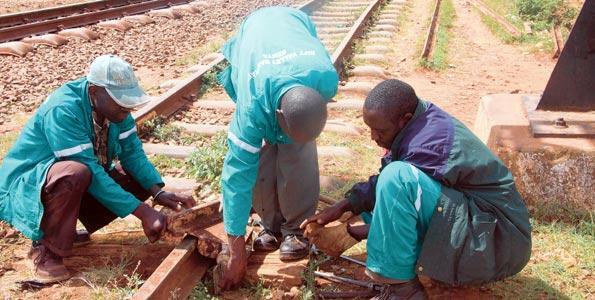 The rehabilitation of the Tororo – Pakwach railway will also be undertaken. In addition, the rehabilitation of the Marine Vessel (MV) Pamba will be undertaken to restore wagon ferry transportation on Lake Victoria, and also operationalise the Southern Route through Mwanza. Construction of a Petroleum Resources Database at the Ministry of Energy and Mineral Development, for which an allocation of Shs. 7 billion is being made. Most of the above projects will be funded through a multi-pronged approach, that includes; utilization of our own domestic revenues and implementation of Public-Private Partnerships (PPPs), in addition to traditional sources of financing from bi-lateral and multilateral institutions and non-concessional financing. In addition to the above major interventions, Government will continue to finance the implementation of various key projects under the energy sector particularly those under the Rural Electrification Programme.